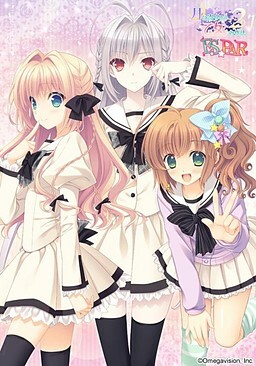 Title Tsuki ni Yorisou Otome no Sahou 2.1 ExSxPAR!! The game divided into 3 episodes: "Est After Story", "Paruko After Story," and "Tsuki ni Yorisou Otome no Sahou 0" that focuses on Ookura Aeon's college days. 2017-05-26 18+ Tsuki ni Yorisou Otome no Sahou 2.1 ExSxPAR!! Misato AkiEst's Image song "Chosen Road"
Sasaki SayakaParuko's Image song "Mirai Eigou"